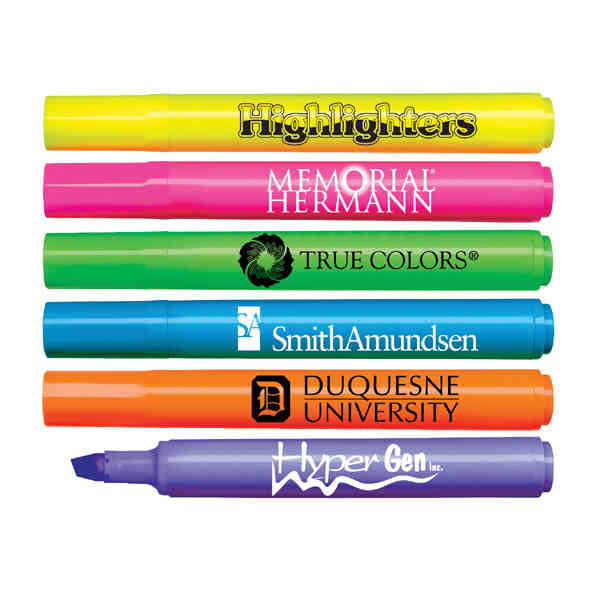 Imprint Method: Full Color Decal - Brite Spots® Jumbo Fluorescent Highlighter. Fluorescent barrel jumbo highlighter with broad chisel tip. Non-toxic. Made in USA. Yellow, pink, blue, orange, lavender and green ink with matching barrels. Imprint Size:2 1/2" x 1 5/8", 3 1/8" x 1 7/8"